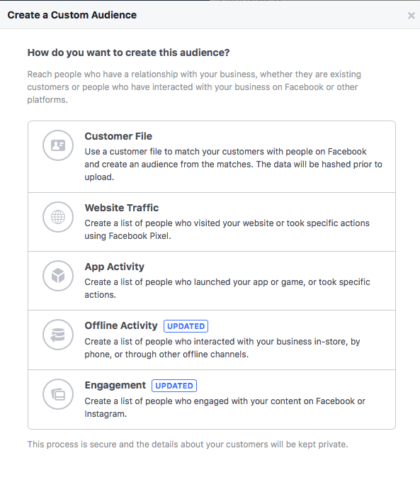 Using data that your business already collects, here’s how to create powerful custom audiences in Facebook. Any marketer can use Facebook Ads to find the people who may benefit from their products and services. But how do you identify people who are more likely to become super fans of your brand? In this blog post, you’ll learn two advanced Facebook advertising strategies for creating high-converting custom audiences. Before you try these strategies, let’s start with a quick overview of how to create a Facebook audience. To create a fresh Facebook audience, open Facebook Ads Manager or Business Manager, and click the menu button on the top left. Then scroll to the “Assets” column and click “Audiences”. This will open your Assets Library. Next, click the blue “Create Audience” button, and select “Saved Audience” in the dropdown menu. 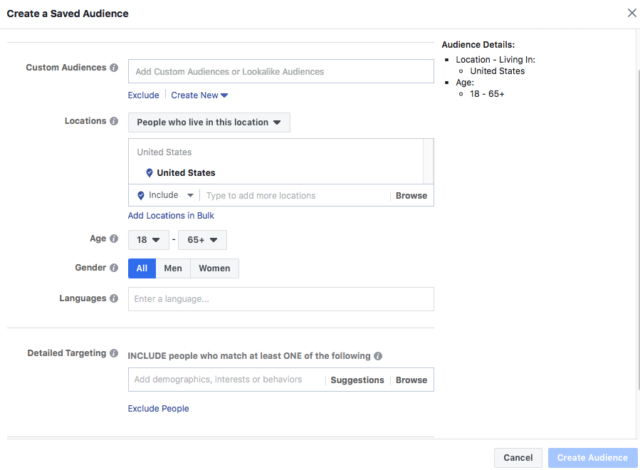 From here, you’ll be able to use Facebook’s detailed targeting tools to find your ideal audience by age, gender, language, behavior, interests, demographics, and location. 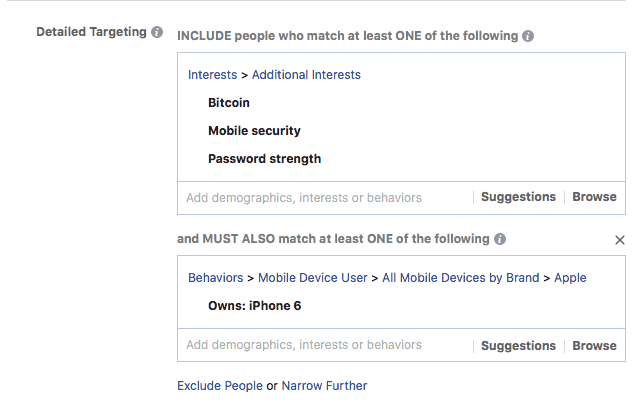 Now, before we move on to creating custom audiences, you should run multiple Facebook ad tests to find one to three interest-based and/or behavior-based audiences that perform well for your business. That means that they come close to your goal for cost-per-acquisition (CPA). For instance, if you’re an eCommerce lifestyle brand, you may test 10 interest- and behavior-based audiences, but find that “Shoe Lovers” and “Fashion Bloggers” have the highest conversion rates compared to audiences like “Fans of Groupon” and “Bargain Shoppers”. This is essential for creating both a Super Audience and a Winner’s Circle, so make sure to have your best performing interest and/or behavior-based audiences handy. The first step towards creating a Super Audience or Winner’s Circle is to create a Facebook custom audience built from a contact list of your current customers or data of people who have interacted with your business on another platform. To get started, click the blue “Create Audience” button in the Assets Library, and select “Saved Audience” in the dropdown menu. Then, you’ll be given five options to help you create a custom audience. Customer File: This method allows you to create a custom audience by uploading your customers’ phone numbers or email addresses via a CSV or TXT file. Website Traffic: This method allows you to use the Facebook Pixel installed on your website to target people who visited your website or specific pages within the last 180 days. App Activity: This method allows you to create a custom audience based on user’s app activity within the last 180 days. Offline Activity: If you have a brick-and-mortar location, this option allows you to target people who interacted with your business in-person, over the phone, or through other offline channels. Engagement: This method allows you to create a list of people who engaged with your posts on Facebook or Instagram. This includes activities like visiting your Facebook page, liking a post, or viewed a video. Create dynamic product ads based on the products they viewed on your website. 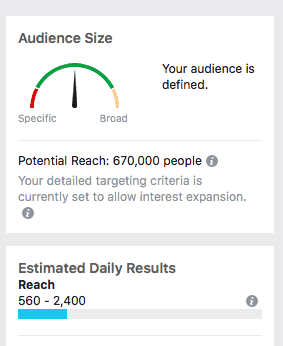 Most importantly, you’ll use your custom audience to create lookalike audiences, which are the second key ingredient in creating a Facebook Super Audience. Now, let’s get into lookalike audiences. A lookalike audience is a new audience created by Facebook that closely resembles the characteristics of people in your custom audience, website visitors, or people that like your page. To create a Lookalike Audience, click the blue “Create Audience” button in the Assets Library, and select “Lookalike Audience” in the dropdown menu. This will bring you to a screen where you’ll need to select a custom audience or your Business Page if you’d like to find people similar to your current fans. Next, you’ll need to select a location of your target audience. Finally, you’ll select your audience size. This is on a range of 1 to 10% of the total population of the countries you’re targeting. 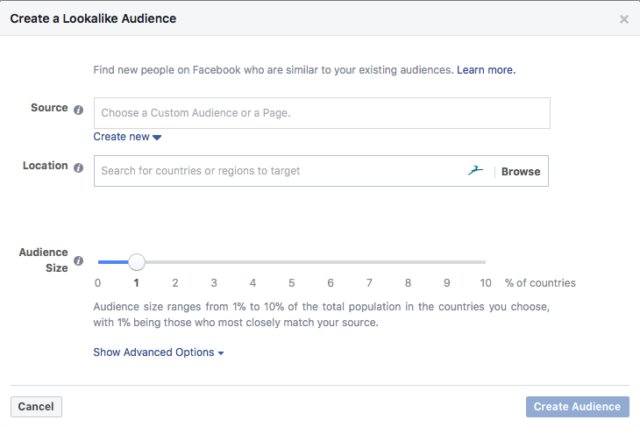 To find the people who look more like your custom audience or Page followers, select 1%. The next thing you’ll want to do is perform what we at Ladder call an “Onion Test”. This involves testing your 2% Lookalike Audiences, 3% Lookalike Audiences, and so forth until you’ve found one or more audiences that have a cost per conversion (CPC) at (or lower) than your goal. As an example, let’s say I have an eCommerce shoe store, and I’m looking for Lookalike Audiences with a CPC under $8. When I perform my Onion Test, I found that the campaigns with 1% Lookalike Audience and the 2% Lookalike Audience had a CPC below $8, but my 3% and 4% Lookalike Audiences had CPCs of $10+. 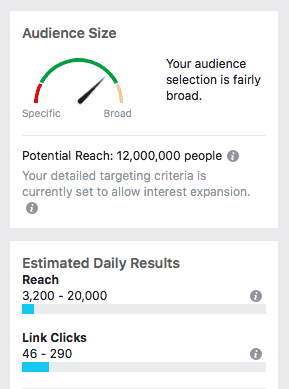 Therefore, I’ll double down on creating Facebook ads targeting the 1% and 2% Lookalike Audiences. After I’ve found the best performing Lookalike Audience(s) and the best performing interest and/or behavior-based audiences, I’ll combine them to create a Facebook Super Audience. Let’s say I’m an eCommerce store owner that specializes in discounted women’s clothing. I want to find new customers, who are similar to my current customers and are more likely to add one or more of my products to their carts and make a purchase. After months of Facebook Ad tests, I discover that a 1% Lookalike Audience of website visitors in the last 90 days performed significantly better than my 2% and 3% Lookalike Audiences. I also discover that fashion bloggers and bargain hunters performed better than any other interest audience I tested. Now, I’ll use this performance data to combine my best audiences to create a Super Audience. To begin, open the Facebook Ads Manager, scroll to the “Campaigns” tab and select “+ Create”. Then, select your marketing objective and name your new campaign. For this campaign, I selected “Conversion” as the marketing objective, and I want to this ad to target people who are more likely to make a purchase. Next, I’ve selected the 1% Lookalike Audience that performed well in my previous tests. In addition, I add the two top-performing interest-based audiences, which are Bargain Hunters and Fashion Bloggers. This leaves me with a Super Audience of about 670,000 people. Now, let’s say I’m an app developer and I want to find people who are more likely to download my brand-new privacy mobile app. After weeks of Facebook Ad tests, I’ve found that people interested in mobile security, password strength, and Bitcoin are more likely to download and use my app. I also noticed that people who own iPhone 6 devices were more likely to download my app, compared to other mobile device owners. Using this targeting information, I can create a Winner’s Circle audience. 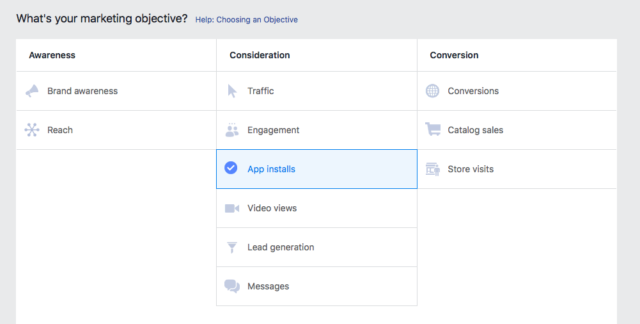 Get started by opening Facebook Ads Manager, creating a new campaign, and select “App installs” as the marketing objective. Next, I’ll find the app in an app store. Scroll down to the “Audience” section and build out the Winner’s Circle. To do so, simply add my behavior and interest-based audiences with above average app install rates. Notice how I narrowed down my audience by filtering for people who are interested in Bitcoin, mobile security, and password strength, and must also own an iPhone 6. This allowed me to shrink my audience down to about 12 million people from 36 million people in the US. The goal of building Super Audiences and Winner’s Circles is to find the very best people to perform your desired action. But, the results rely heavily on your ability to build upon your learnings from dozens–even hundreds of Facebook Ad tests. Our rule of thumb at Ladder is to test everything from ad copy and creative assets, to audiences and call-to-action buttons. Conduct each test as if you’re conducting a high school science experiment. I can’t promise you instant success. But, you can find super fans and significantly lower your cost per acquisition by testing, testing, and testing some more. 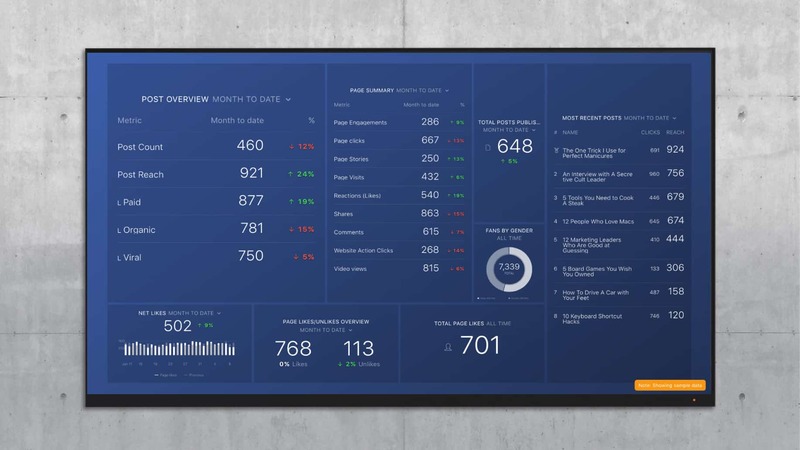 And, if you want to track the performance of your campaigns in real-time, use this free Facebook Ads Campaign dashboard. 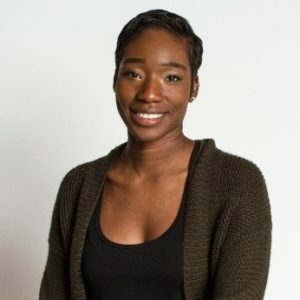 Malaika Nicholas Malaika is a Content Marketing Strategist at Ladder.io. She helps brands and businesses promote themselves, engage their fans, and tell their stories.